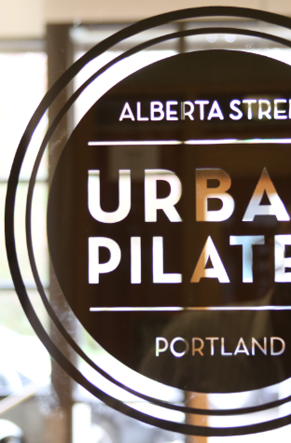 The Independent Study Option is available to students who are unable to relocate to Seattle to pursue the program at Metropolitan Pilates. This option allows students to complete part of the program at a M.A.T. Pilates approved training center while still having the opportunity to study with Dorothee. Students who enroll in the Independent Study Option must present a plan of study with their application. This plan of study must include the name of the studio where the student will be studying, the teacher trainer who will be supervising the practical training, and how many hours in each stage of the program the student will be completing at the other training center and/or at Metropolitan Pilates. Prospective students should be aware that the Independent Study Option requires traveling to Seattle at least twice during the course of the program. The advanced seminar and tests must be completed at Metropolitan Pilates. Travel and accommodations are not included in the cost of the program. The total tuition for the teacher certification program (independent study option) is $6,400. A training center practical training fee might be charged by the studio where the student completes part of the training. Pilates sessions at Metropolitan Pilates and at other training centers are charged at the rates posted by each studio. For information on payment schedule, cancellation and refund policy, download the current Teacher Certification Program Catalog.